The process for metal 3D printing can be broken down into three major steps. First is the design phase. Many 3D printing businesses use design software to create a 3D model, then slice the file so that the 3D printer can read it layer by layer. This step can also be completely bypassed with the assistance of 3D scanning technology. Once the 3D file is complete, it is uploaded and often prototyped in 3D printed plastic. This gives the designer a tangible, cost-effective model that they can reference for any changes. After the prototype is deemed acceptable, it’s time to start the final product. Metal 3D printing uses metal powders, which are guided by a blade in the printer. A laser then melts the particles of powder together selectively, based on the 3D model. This melting of particles fuses the powder together to create a solid part. This is repeated over multiple layers, which is often referred to as additive manufacturing. Now that you know how metal 3D printing works, you can really appreciate some of the innovative ways it’s being implemented. 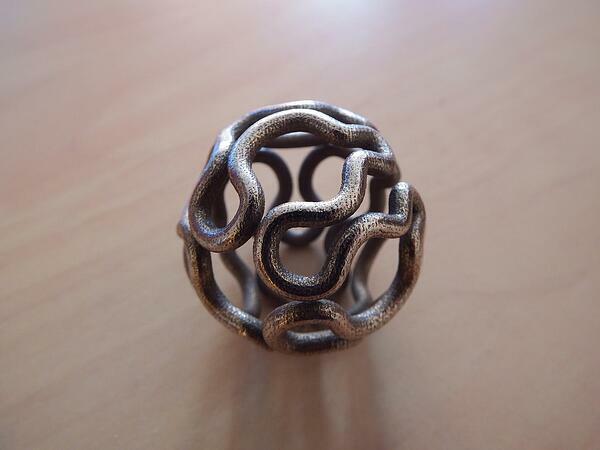 Since metal can be used as the filament, the jewelry industry is capitalizing on the process by 3D printing rings and other types of jewelry. Not only can they come up with some intricate designs, but they can also create the product specific to the customer’s measurements. There are also some extremely interesting use cases for metal 3D printing in the medical field. Since it’s an additive process that doesn’t rely on a mold, medical professionals can now create prosthetics and implants that fit their patients exactly. Not only is it a better solution, it’s also very cost-effective. 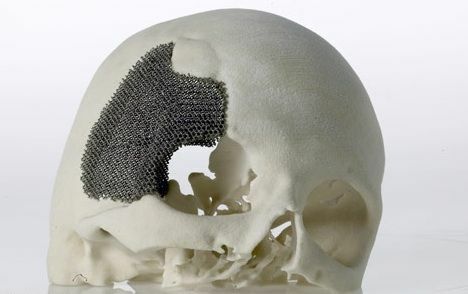 Pictured below is a metal plate that was 3D printed to replicate a section of a skull. 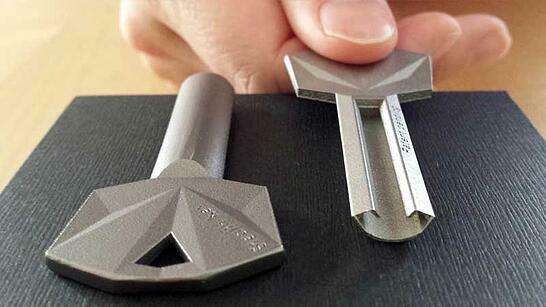 One 3D printing business has come up with an innovative way to increase security for their customers by creating one-of-a-kind 3D printed keys. Urban Alps custom-makes their keys to hide the codes (teeth) under a narrow edge so that it cannot be photographed or replicated. Interested in learning more about starting your own 3D printing business?